I’ve already professed my adoration for Terri of Sew Straight and Gather. 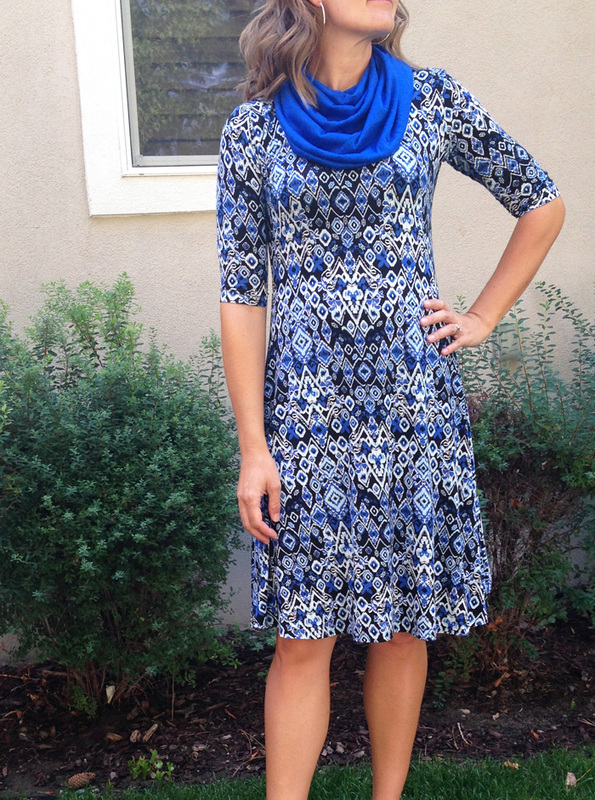 Her patterns are the bomb and I am thrilled that she is now working on ladies patterns! I had the chance to test for her again on her latest project, The Ladies Uptown/Downtown Dress. 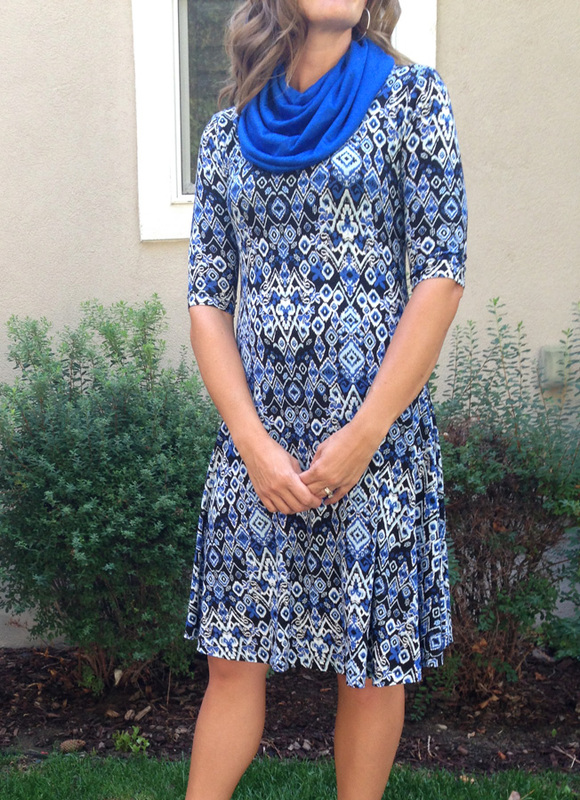 This pattern is another winner- lots of sleeve options, knee and maxi lengths, and tank and sleeveless choices too. 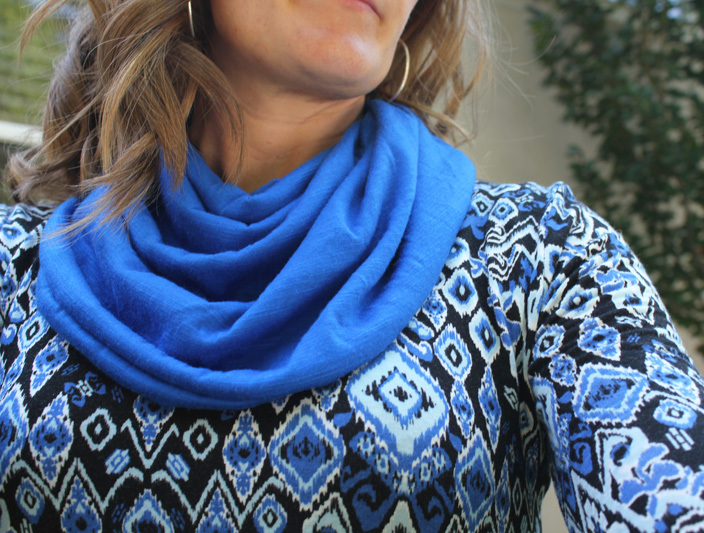 There is also a cowl neck that I adore! My girls have a few bimaa sweaters that I love and now I get to join in on the cowl fun. I have to admit I was worried how this dress would skim my i-had-five-kids-belly. The cut was way more flattering than I expected and I loved seeing how it flattered all body types on the other testers. It really looks amazing on every shape and size- magic pattern, I swear. I fell in love with this gorgeous jersey knit from Raspberry Creek Fabrics. The drape and flow was perfect for this dress. Another great fabric/pattern combination!